According to evolutionary biology, those who can deceive, have more chances to survive. The same goes for poker. If you truly believe in something, it is no longer a lie. 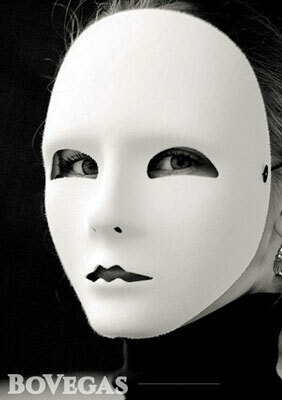 In this article, we’ll talk about how self-deception helps your bluff work. Evolutionary biologists have long proven that deception is common in almost all forms of animal communication. Birds pretend to dig in food in one place while they hide it in another if they know that other birds watch them. Many animals change their appearance to scare away rivals or predators. Males of cuttlefish can change their color and pretend to be females. Thus, they temporarily get into the harem of the dominant male who cannot be defeated in a fight. Then, when this male is distracted, the first one returns his male color and pairs with the females. One can draw valuable insights from deception in nature which can be helpful when learning various poker bluffing tips. Bluffing is by no means easy. However, with a little practice and our collection of useful tips, you might just fool the other players and claim the pot. What Is Bluffing in Poker? Bluffing refers to a strategy where you purposefully make the other players believe that you have the strongest hand at the table. The main idea behind bluffing is to win the pot, regardless of the cards you’ve been dealt. Although this concept might sound strange to a novice, it’s commonplace amongst poker professionals. In fact, more rounds are won by successful bluffs than by two or more players revealing their hands and the stronger one claiming the pot. That’s why poker is a game of skill, not a game of chance. If you’re well-versed in the art of bluffing, you can win even if you don’t have a single pair. However, bluffing takes practice. You can’t just mindlessly raise every single round. Sooner, rather than later, someone will call you out on the bluff and take all of your money. With that in mind, one could say that bluffing is essentially risk management. You can’t always bluff, but you don’t always have to have the strongest hand to win, either. Timing is crucial. You must know when to bluff in poker and how to hide it. It’s a combination of smart, strategic betting, and assertive body language. Also, you must learn to put on a “poker face.” You’ll have to “wear” that face throughout the whole game, so others can’t read you or draw any conclusions based on particular facial expressions or ticks. So how exactly does one bluff in poker? According to the evolutionary biologist Robert Travers, an increase in the frequency of deceptions within one species will produce a powerful selective pressure on the ability to detect duplicities in others. This ability, in turn, will entail a kind of arms race. The enhancement of the ability to detect trickery means that deceit should become increasingly convincing. When it becomes so, it provokes a toughening of natural selection regarding the recognition of fraudulence. For example, stick insects look like part of a branch which helps them to escape from hungry birds. As birds learn to recognize this deception better, insects must develop increasingly elaborate disguises to deceive predators. Moreover, what’s interesting is that evolutionary selection for recognition of deception gives more good fortune if the animal is engaged in self-deception. According to Robert Travers, deciding on deception, we can choose self-deception to remain better unnoticed, thus causing some unconsciousness. Being unaware of your self-deception makes sense not only from the biology’s point of view but also in relation to poker. The most successful bluffs are performed when you do not know that you are bluffing. Consider an example of a novice poker player who naively believes that his two middle pairs are the best hand on the board, where Straights and Flushes are possible, so he raises. A player with a Straight or a non-nut Flush is in an awkward position. He tries to find any sign of his opponent’s weakness but fails, so he has to fold. The winner takes the pot, not having the faintest idea that he just forced his opponent to fold with a stronger hand. Another similar example flashed in the episode of a show based on Alfred Hitchcock’s Crack of Doom in 1956. It was a story about a lawyer who delved into a home poker game to make up for his losses. He ‘borrowed’ $10,000 which his client left in the office safe. The man was desperate, as this was the last cash. They played in an unlimited five-card stud with one closed card. Each new card was a new round of betting. In the last round of betting, the hero had three open Queens while his opponent had three open 10s, and his game hinted that he had Quads. They both began to raise; the hero confidently pushed all his $10,000 into the middle of the table, which finally convinced his opponent that he had four Queens. He showed his Quads and reluctantly folded it. The hero relaxed, looked again at the closed card, and realized that he was mistaken. In fact, there was a Jack. If his opponent called, he would have lost all his money along with his career and freedom. As he told later, he would never have had the courage to bluff in that situation. Desperate, he saw what he wanted to see, and this was the only thing that allowed him to build a convincing image of a man with absolute nuts. Let’s return to an adequate bluff. Of course, it’s silly to recommend you bluff unconsciously. After all, you cannot turn an action into an unconscious act. However, you can and should consciously imagine that you are playing a favorable hand. If you believe in something, it is no longer a lie. If you believe in something, it is no longer a lie. If you think like this, you will have to make significant efforts to prevent these thoughts and emotions from turning into visible actions which your opponent can easily understand. This task is difficult because you have to think one thing and do the opposite. Such discrepancy can turn into behaviors that betray you. You try to seem calm and relaxed but inside you are shaking and feeling nervous. You try to communicate freely but your voice sounds unnatural, and muscle tension gives you away. Instead of being fully aware of the bluff, try to convince yourself that you have that Straight or Flush that you emulate. That is, intentionally deceive yourself, repeating to yourself the words that would be on your mind if you had the hand that you desire. When you repeat this scenario to yourself, you do not have to simulate power consciously. After a little practice, these thoughts will be completely natural, and there will not be that disturbing discrepancy between the words in your mind and attempts to stimulate relaxation. Bluffing in poker is an option. In other words, you don’t have to bluff all the time. In fact, you should fold periodically, with a bad hand of course. This will leave the other players at the table believing that you’re not too keen on taking risks. Albeit an oversimplification, you should bluff one in three or one in four bad hands. If you raise too often, others will quickly pick up on the fact that it’s statistically improbable for you to always have the strongest hand. They will call once, and it might end up being a costly lesson for you. Not to mention that you won’t be able to utilize bluffing for the rest of the game. Speaking of others “buying” your bluff, you need to know the exact order of all the possible hands in poker, from strongest to weakest. The reason is simple — someone might call not because they saw through your bluff, but because your bluff is still weaker than their hand. Say, for instance, there are two aces on the table after the turn. You might successfully bluff a poker of aces, which is indeed an extremely powerful hand. However, the other player might have a straight flush or even a royal flush. In both instances, they aren’t afraid of your pair of aces. They simply do have a stronger hand, regardless of whether you’re bluffing or not. So the point is, you need to know all the possible hands by heart, and in most cases, bluff the strongest possible hand. Otherwise, the opponents will have no reason to fold, and you’ll lose a good chunk of chips even with a successful bluff. Whether a bluff will be successful isn’t determined solely by your own behavior. You need to pay close attention to what is going on around the table as well. If you’re trying to bluff a “loose” player with a hefty stack of chips, you likely won’t get far. They might call even if they don’t have anything themselves, just to see whether you’re trying to deceive them or not. Conversely, players with smaller amounts of chips often cannot afford to take a chance and call you on the bluff. Even if there’s the faintest chance that you’re genuinely holding the winning hand, they’ll be forced to fold. If they don’t, they risk losing everything and will have to leave the table. So watch how other players react to big raises and see who’s likely to call and who’s likely to fold. You also want to avoid scaring them to the point where you can’t get them to put any money into the pot, even when they have an objectively strong hand. Bluffing doesn’t just come down to making other players fold due to a false belief that you have a stronger hand. It can also go the other way, where you trick the opponents into betting because they believe they’ll win the pot. This strategy is employed by poker players just as often. You “downplay” your hand and simply call or don’t raise the amount proportional to the strength of your hand. Thinking that they’ve seen through you, the opponents might be more inclined to raise. And depending on their moves, you can simply call their raises or raise yourself. 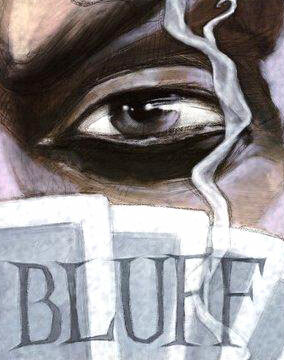 Once you reveal a full house when they’re expecting a single pair, the bluff will be successful. They’ll be shocked as they see your pile of chips exponentially grow. Ever wondered why poker tables are seldom full? One of the reasons is that certain positions aren’t as good as others. It might sound strange to a beginner player, but where you sit somewhat dictates your options. Seat numbering plays an important role, not only when it comes to blinds. For instance, if you’re the first to check, you can actively force other players to make the decision first and play reactively. Similarly, if you’re the last to play, you’ll have more time to think and a better idea of other players’ hands. There are a total of four different types of positions, based on where they are in relation to the dealer. Since the players act clockwise, the first two to the immediate left of the dealer are the small blind and the big blind. After the blinds are the players that act first. These spots are called “Under the Gun” (UTG) since they have to act first, without any cards on the flop. The Middle Positions are the players across the dealer who have an equal number of players acting before and after them. Finally, we have the late positions — the cut off (CO) and the button (BTN). Late positions are generally the most favorable since they act last. However, as we’ve mentioned, the early positions can have an advantage when it comes to bluffing since they can opt to check first and effectively bet after everyone else has already made a decision. Bluffing isn’t a one-time strategy. Therefore, you shouldn’t celebrate or brag after you’ve successfully fooled your opponents. There’s a reason why the cards aren’t revealed if nobody calls your raise. It’s to prevent the other players from knowing whether you actually had a good hand or pulled off a successful bluff. In that sense, bragging about it would only do you harm. In fact, you should try and have no reaction whatsoever. The most successful poker players always keep the others guessing and never reveal what they’re thinking. So try and stay calm until you leave the table and don’t show any emotions. There will be plenty of time to celebrate after you return home with a pile of cash. Admittedly, this is easier said than done. However, that’s why bluffing is a skill that requires honing. Typically, you’ll have the highest chances of pulling off a successful bluff on the flop. If you raise without any cards on the table, others with decent hole cards will be tempted to match your “all-in” bet. 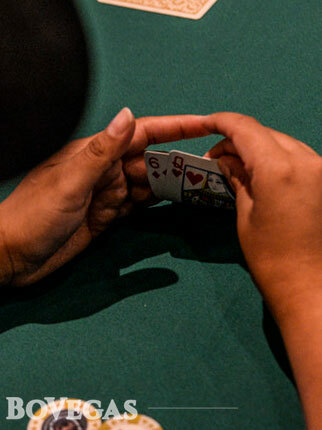 Even if you don’t bluff, a player with a pair of Jacks in hand might feel confident and call. So even with two aces in hand, there’s a high chance the flop will favor somebody else, and you’ll end up losing all your chips in an instant. It’s ok to raise a bit to show confidence, but you shouldn’t bet more than what’s already in the pot until you see at least three cards on the table. Likewise, bluffing on the turn (4th card on the table) isn’t as effective as bluffing the flop. If you abruptly start raising after the fourth card is revealed, that’s a pretty clear sign you didn’t have everything before then. In other words, you’re either bluffing or betting on three of a kind. It feels desperate, and any experienced poker player will see through this bluff with ease. Consistency and subtlety are key when it comes to bluffing. Therefore, abruptly changing your betting strategy is a huge giveaway. Going back to the beginning of the test, the strongest bluffs are those when people aren’t aware that they’re bluffing. If someone is unaware of how strong their hand is, objectively, they likely won’t be scared off by your bluff. Newbies are inclined to call bets, regardless of what cards they’re holding. So if you go for the “next level” play and try to bluff them, it might end up backfiring. Instead, try to play it safe and only call on strong hands until you get a sense of their playstyle. Don’t forget which two cards you’ve been dealt, as this information might be crucial. It can help you both call bluffs and see through the bluffs of other players. If you’re holding a pair and the third card shows on the flop, you’ll know it’s impossible for another player to also have the same pair in hand. The last piece of advice we can give you is that it’s ok to lose with a bluff. As long as you don’t go all-in, it’s not the end of the world. The goal of bluffing isn’t to win every single hand; it’s to win more than you lose in the long run. As long as you make the opponents fold more times than they read through your bluffs, you can consider bluffing a success. Therefore, you shouldn’t look at each individual bluff, but rather analyze them on a game to game basis and pinpoint what you can improve. Moreover, losing a bluff opens up a different type of opportunity. Confident that they’ve caught you once, the opponents will be more inclined to call your future raises. So you won’t even have to downplay your hand. Simply bet when you’re confident that your hand is the strongest, and let them believe that you’re trying to pull off the same bluff. Reveal your hand, claim the pot, and leave them speechless.